It seems like riders and manufacturers are in a perpetual drive to trim weight from their bikes. But are the performance gains really worth the effort and cost? What is it about people when they see a new bike that makes them unable to resist the urge to lift it up? They’ll weigh it in one hand and nod, as though this simple test has told them all they need to know about the bike’s quality. 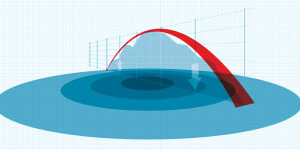 No one ever tries to flex the frame or measure the tube angles. The only thing that matters – to the uninitiated, at least – is weight. Weight has long been the currency of high-end cycling – the lightest bikes and components are considered the best. But there’s been a recent shift to other performance factors, threatening the sacred position of weight in the equation. Road riders are starting to see why time-trialists have traditionally favoured aerodynamics over weight. For example, Mark Cavendish’s green jersey-winning Venge was a full 850g north of the UCI weight restriction, at 7.65kg – the weight of an entire extra frame. Meanwhile, with the introduction of electronic shifting, the best groupsets on the market are no longer the lightest, with some lumping half a kilo on top of mechanical groupsets at similar price points. So, with that in mind, the question is looming – what is a gram actually worth? Not much, apparently. That’s according to the physicists and component manufacturers that Cyclist talked to and, more surprisingly, the creator of the world’s lightest performance production bike, Cervélo. Rolling resistance is the resistive effect of the various forces of stretching and compressing that occur to the wheel and tyres while in motion. But it’s not a hugely significant force, Papadopoulos says: ‘On a bumpy road things are considerably worse, but on a smooth paved road the total rolling resistance for a 70kg person would be only 3.5N. So a 0.5kg weight saving on that would make a 0.02N difference in opposing forces.’ That’s the equivalent of a fraction of a watt of power difference. If you believe the science, weight has little effect when riding at constant speed on level ground. Clearly, though, that leaves significant parts of cycling out: accelerating, climbing and descending. But you may be shocked how minimal the benefits of weight saving are here, too. Acceleration and weight are linked together by the laws of physics. That’s down to Newton’s second law of motion: acceleration is equal to net force divided by mass. In simple terms, that means the total force you apply above the force of drag and friction, divided by how much you and your bike weigh, will determine how quickly you get up to speed. But that still relies on you overcoming aerodynamic drag, because the less drag you have the more acceleration you will achieve. So it’s obvious that a 2% saving in weight will make far less than 2% improvement in terms of acceleration or climbing speed. Importantly that means the quickest moving part of the wheel – the outer circumference – is where the effect of weight is most magnified. So light rims will (in theory) have a greater effect on acceleration than light hubs. 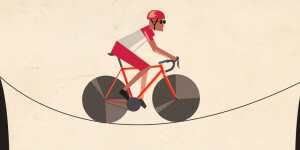 So lighter wheels are better for climbing than a lighter frame but, in general, how much benefit does losing weight from your bike give you when the tarmac tilts skywards? Will the money you spent on lightweight pedals and carbon bottle cages see you sprinting up the slopes like Contador? Disappointingly, no. The retarding force of gravity is only small in comparison to other factors that fight movement. According to Papadopoulos, on a 16% climb the force of gravity would render only 1.6N of extra downward force from a 1kg increase in weight. At 18kmh, that means that shedding a kilo of weight from your bike would gain you only eight watts of power on the hill. Now, eight watts could be the difference between a winner and an also-ran at pro level, so it’s not to be dismissed, but it does beg the question why weight is seen as so vital – more so than other factors such as stiffness or aerodynamics – especially when a climb is only ever likely to be one part of a ride. Why, when they know the truth, do bike and component manufacturers continue the struggle to produce ever lighter models and parts? Cervélo is the innovator of the world’s lightest production frameset, the R5ca, which emerged from a super-top-secret-sounding engineering exercise called Project California. According to Rinard, the Project California frame was not made for sales: ‘In fact, we didn’t think we would ever sell anything out of that lab. The whole purpose of Project California was to explore the boundaries; an engineer’s playground – what can we do? What are the limits? What are the possibilities? 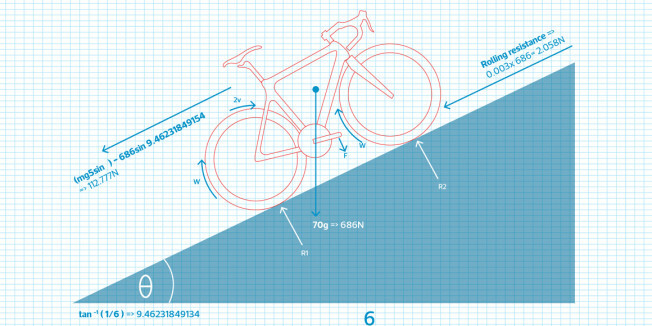 Naturally to confirm the maths and the theory we had to make the bike lighter. We made bikes and we thought they were pretty good, and since we already had the moulds, we thought we might as well make a few more and offer them for sale. ‘The challenge for Project California for the R5ca was to maximise our structural capabilities, and if you’re a very good structural engineer you can reduce the amount of material and still keep or improve a bike’s performance – stiffness, light weight, high strength – so structurally the stiffness to weight ratio is an excellent measure of the excellence of the structural engineer. When working with carbon, knowing which plies in which orientations to take out and which to leave in place is a really good exercise,’ Rinard adds. We might expect groupset manufacturers to be a bit more defensive over the value of a gram in their painstakingly-crafted chainrings and sprockets. Apparently not. Scott McLaughlin, SRAM’s global director of drivetrain development, says, ‘Weight is certainly a performance factor, but it has a higher decision-making priority to a lot of customers than its performance benefit would justify. McLaughlin points out the difference between weight savings in different parts of the bike: ‘Anything that rotates is going to be more important than anything that doesn’t rotate, because it’s not only the mass that you have to carry uphill with you, or accelerate linearly, but also the centripetal acceleration – the energy it takes to get something rotating – is also significant. Obviously that plays a much stronger role in the tyre or the rim than it does in something like the crank arm. But suppose if you look at the crank arm versus the brake, the crank arm would be at least a little bit more important because the crank arm is rotating and the brake isn’t.’ That said, saving 30g on the crank arm will at most be equal to saving 60g in your water bottle, or on your body, which could well prove a cheaper alternative. So it seems that many manufacturers create light bikes and components mainly because that is what the market demands. People feel good about having the lightest, highest-performing parts on their bikes, and will pay handsomely for the privilege. But if they really cared about going faster, they might look to their own weight before shaving grams from their steed. Food, Mitchell says, is also a potent area for weight reduction. ‘When we get to the mountain stages the foods become a lot simpler and they’re easier to digest, so in effect they’re passing through the system more quickly. We move onto a lot more rice and chicken, we don’t have so much red meat, we cut down the amount of vegetables and replace them with more vegetable juice.’ Although a small change, it can make a big difference if it saves you from carrying 500g of undigested food in your gut. 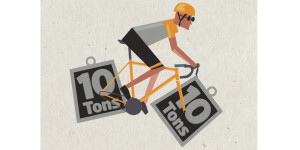 How much would you pay to remove 500g from your bike? 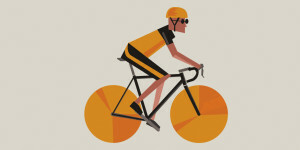 Having studied the science, it appears riders who obsess over the weight of their bikes are fooling themselves – that the advantages are massively out of proportion to the costs. But we shouldn’t be too quick to judge. Rinard at Cervélo admits that he still takes weight into account when he’s creating a new frame: ‘I respect that, and we’re that way here. We’re weight obsessives in our design, even when it comes to a matter of grams.’ His point is that low weight, while not a significant performance factor in its own right, can be an indicator of high quality. A light frame, groupset or wheel has most likely been thought about more carefully and tested more rigorously than a heavy one, so will often be a better piece of equipment. 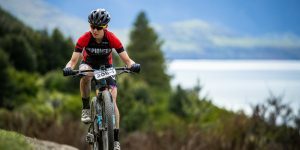 Equally, textbook thinking might downplay the significance of weight, but you’d struggle to find a rider who has upgraded to lighter parts and not felt a marked improvement in feel and speed. It may be psychological, but science has not yet had the final word on weight. 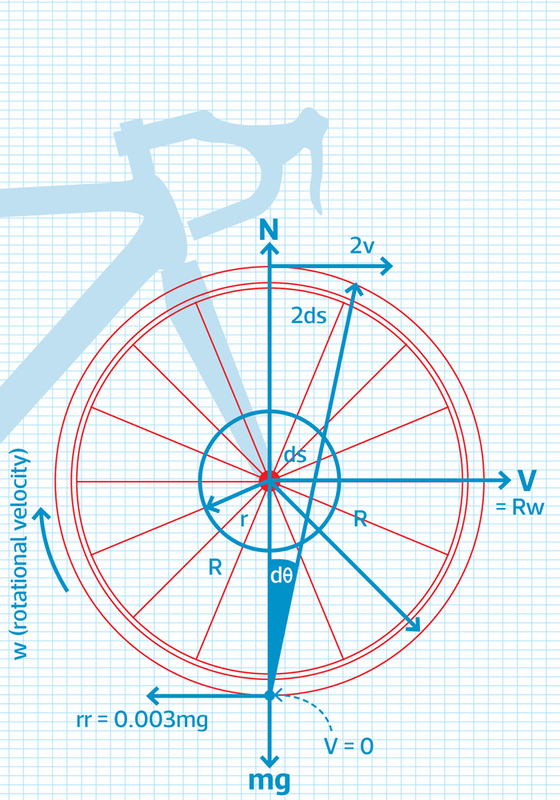 As anyone can see from the equation above, the physics of cycling is fairly straightforward. OK, we haven’t got a clue what it means either, but apparently it shows that weight is not all that significant for performance. Damon Rinard of Cervélo explains, ‘In the early 1980s a bunch of engineers and scientists modelled all the forces on a rider. The “P” is expressed in watts generated by the rider while everything to the right of the equals sign are the forces that oppose a rider’s movement – rolling resistance, gravity, drag, chain friction and things like that. Engineers can measure those forces individually and add up those forces that a rider has to overcome.’ If you’re really keen to put it to use, all you need to know is that ‘m’ is mass, ‘a’ is air, ‘g’ is ground, ‘Crr’ is the coeffieient of rolling resistance and ‘G’ is gradient. The rest is up to you.